In November 2018, Nikkei Asian Review has covered that Japan’s largest convenience store operator 7-eleven would set up a plant factory in Tokyo to produce vegetable for its own salads products in January 2019. The project operator and a longtime premium delicatessen supplier to 7-Eleven Prime Delica has adopted Signify’s growing light for its vertical farm facility located in the city of Sagamihara in the Kanagawa prefecture, Japan. Signify provided the Philips GreenPower LEDs to help Prime Delica to grow crops with vitamin levels and nutritional value. Prime Delica uses different light recipes at different growth stages for each of the crops, with a pre-harvest treatment to increase the vitamin C level to meet functional food requirements. Apart from the premium quality, crops coming from their vertical farm also have a lower bacterial count and are grown using no pesticides. 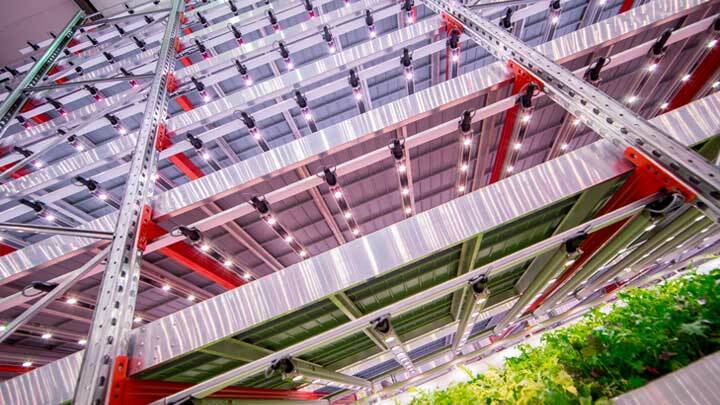 In addition, the vertical farm enables the food distributor to stabilize its vegetable supplies as LED lighting can steer the cultivation process by adjusting the color, duration and positioning of the lighting. Prime Delica has worked with Tamagawa University, CCS and the plant specialists at Signify to find out the growth recipe with Philips GreenPower LED production modules. The researchers helped them to fully control the growth cycle of crops with the right lighting strategy. Masayoshi Saito, president of Prime Delica, said, "Our crops can be delivered to 7-Eleven stores within 48 hours from harvest and are very fresh and full of vitamins. The cost price per crop is higher than in the open field. However, the overall costs of processing are vastly reduced in terms of logistics, checking and washing with very little waste. It's a cost reduction mechanism if we consider the factory in total."